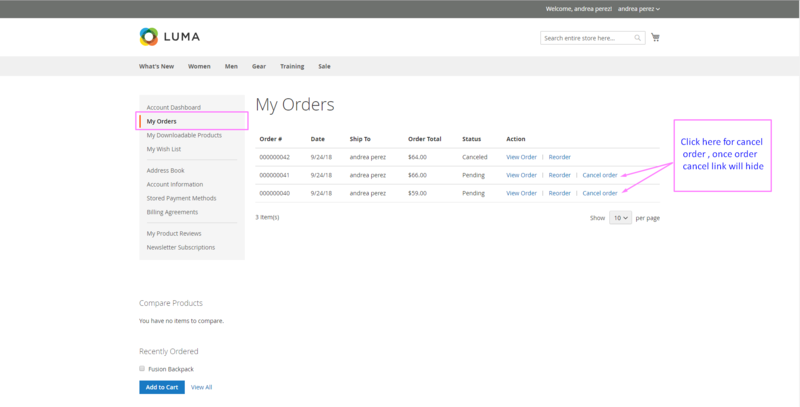 Order Cancel extension is used for customer reliable to manage order like if a customer does not want the product after place order they can quickly cancel the order by click on “cancel order” link in customer account page. 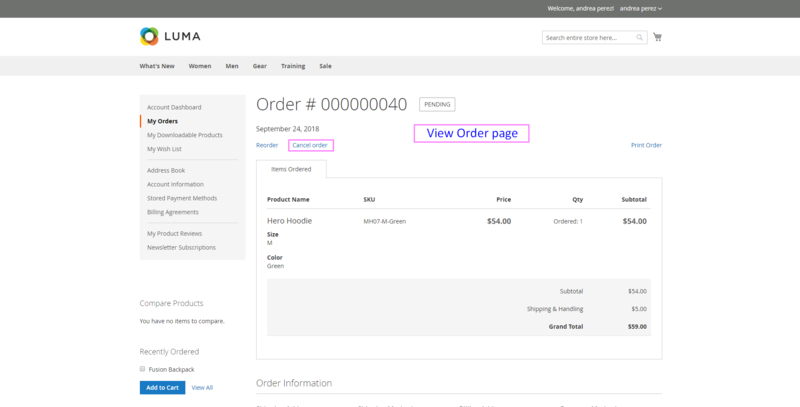 Order cancel link including along with recent order as well as in order tab in a customer account, also the layout of design is simple to understand to the customer. 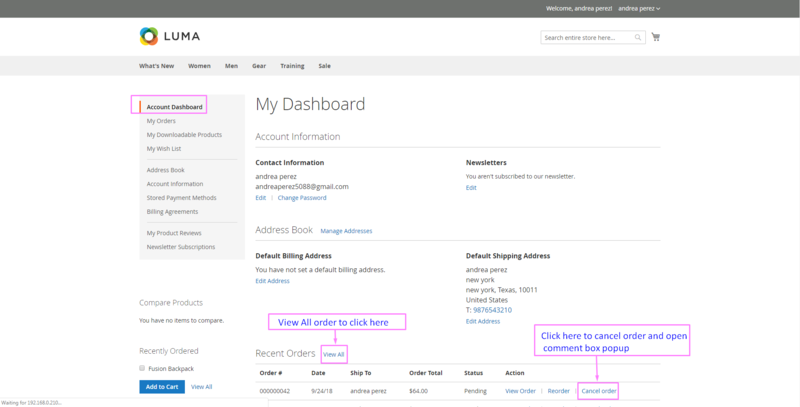 For store owner, the admin configurations are easy to manage and understand. Customer directly cancels the order from the customer account page. A flow of the extension is simple to understating and installing the configuration setting. Admin can customize the name of the cancel link on the frontend. Admin also can select the mail template which sends after order cancel and select sender id too. Customers give comment on order on a popup. Sort and simple way to cancel the order so that no more time reduce customer time. Customer no needs to interact for cancel order. Once click on cancel order link it will hide and order to remove. 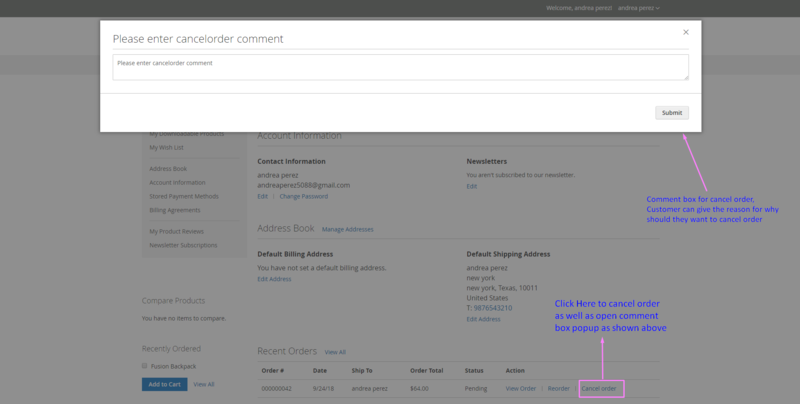 Admin change cancels order and comment popup header name from backend configurations settings. 3. Logout and re- logging admin side after run above command after that extension settings and customizing option display which showing admin side.